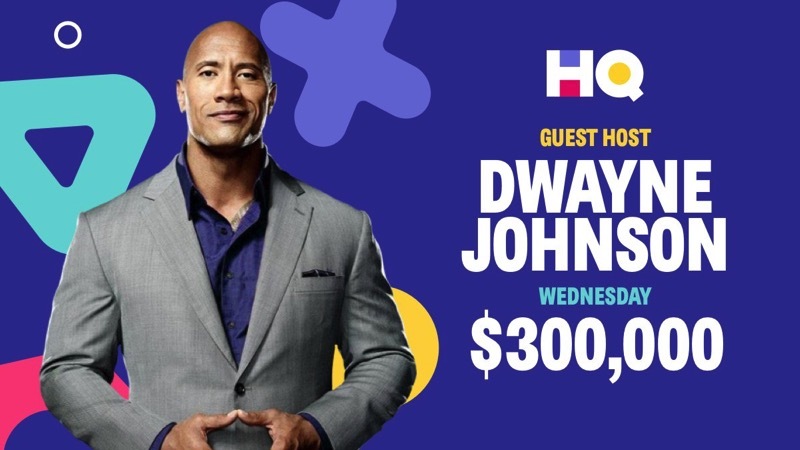 HQ Trivia is upping their prize pool again, as this Wednesday, April 11th will see the jackpot grow to $300,000 USD (about $381,000 CAD), while also debut special guest host Dwayne Johnson, better known as ‘The Rock’. This prize amount is the trivia app’s biggest ever, eclipsing last month’s sponsored totals of $100,000 and $250,000 USD prizes, respectively. This upcoming show featuring Johnson is most likely to promote the star’s latest movie, Rampage, which hits theatres on April 20. With big prize games easily surpassing 1 million or more players, HQ Trivia has become a highly targeted game for advertisers. Today, HQ is launching a new feature called “Friends on HQ,” which will roll out to U.K. users for today’s game, with a U.S. launch to follow “soon after,” the company says. The feature lets users search for and connect with friends and family inside the app. Once users connect, they’ll be able to keep track of how everyone is doing and which friends of theirs are playing in any given quiz match. It’s a very easy move for HQ that adds some familial familiarity to the game’s battle royale quiz format. So essentially, once this feature rolls out, you’ll be able to track the HQ Trivia performance of your friends better. No word whether the U.S. rollout will also include Canada, but we’ll find out soon enough. Click here to download HQ Trivia for iOS in the App Store. Use referral code tayang to gain an extra life when signing up.